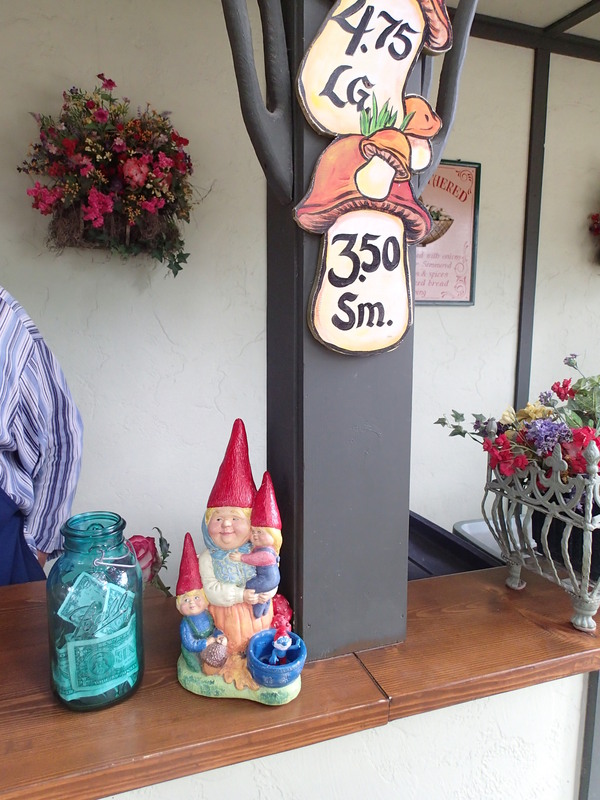 Do Gnomes Belong in Renaissance Fairs? 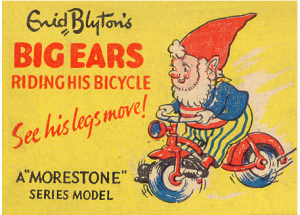 Many gnome enthusiasts believe that gnomes originated in Germany in the early 1800s and that the first gnomes appeared in England in the 1840s. However, as I attended my very first Renaissance Fair in Bristol Wisconsin, I couldn’t help but notice gnomish influences all around me. But wait! The Renaissance is categorized as the period of European history between the 1300s and the 1600s. So how did gnomes begin sneaking their way into these festival celebrations? 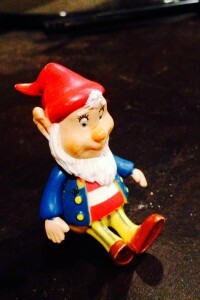 According to the Oxford English Dictionary, the word “gnome” comes from Renaissance Latin gnomus, which first appears in the works of a 16th century Swiss alchemist named Paracelsus. He described gnomes as diminutive spirits that were small, lived underground, and appeared in Renaissance magic and alchemy. In his publications, Paracelsus wrote that gnomes were about a foot tall, could move through solid earth, and were weary of human contact. You can read more about Paracelsus’ gnomes in Alan G. Hefner’s essay, “Paracelus’ Natural Spirits,” and Princeton’s history of gnomes. But as I walked around the Renaissance Fair chomping on an oversized turkey leg and admiring the costumes, I couldn’t help but notice more trolls, wizards, fairies, and elves than gnomes for sale. One fair vendor selling mushrooms had a lovely lady gnome with her two children on display. 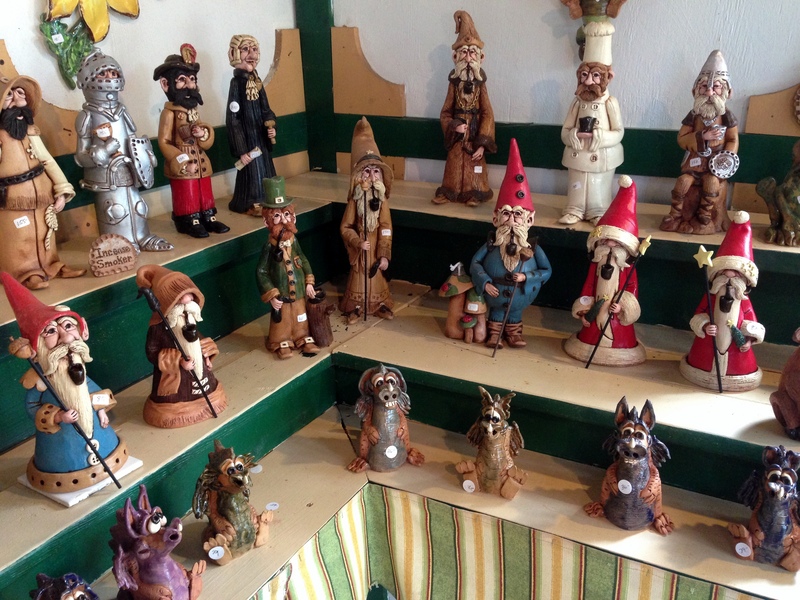 The vendor revealed that he and his wife used to run a Renaissance fair booth that was all about gnomes and sold gnomes in all shapes and sizes. I tried to convince him to bring that booth back next year…we’ll see. I visited another fair vendor who created handmade pottery sculptures of all kinds. As you can see in this photo, gnomes sat alongside wizards, Santas, and leprechauns. Just as I find with Christmas markets each year, identifying true gnomes in crowds like this is always a challenge. So I ask again, do gnomes belong at Renaissance Fairs? As I see it, the purpose of a Renaissance Fair is to take a step back in history to enjoy a day in another place and time. So while the true origin of gnomes is still debated, gnomes have a special place in history and I think they would really enjoy the Renaissance Fair activities. And if wizards, elves, and trolls are allowed to attend, then I see no reason for gnomes to be left out of the celebration! Cheers! Friday Afternoon Literature Break: What the Heck is a Tomten?! Before the clock strikes 5 and your brain starts swimming in beer, I thought I’d fill it with something useful. Allow me to introduce you to a little ditty I like to call A Visit of the Tomten. Actually I didn’t call it that originally. Barry Johnson did. You see, he’s the author and that’s kinda sorta what authors do. A tomten, also known a a tomte, is mythological creature from Scandinavian folklore associated with the winter solstice and the Christmas season. But that doesn’t make him an elf, so don’t make that gross assumption! We like to think a tomten is more like a gnome. Naturally. In Barry’s book, the tomten brings the animals some Christmas gifts. 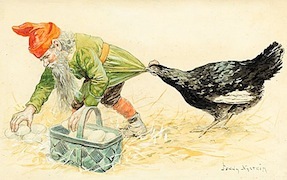 But when they’re pissed off at what they get, the tomten explains the reasons behind the gifts, The wise old bugga emphasizes the importance of thinking of others and avoiding selfishness. The animals feel crappy about themselves vows to be less prick-like. 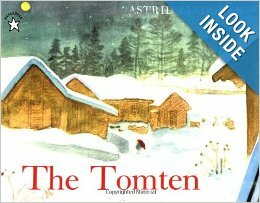 If you can’t get enough tomtens like us, also check out Astrid Lindgren’s book cleverly titled, The Tomten. 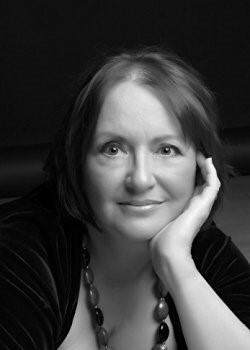 Street cred spoiler alert: she wrote Pippi Longstocking and won the Hans Christian Anderson Award! Editorial reviews refer to this tomten as an invisible troll and a small elf-like person. Tomtens are so mysterious, aren’t they?! 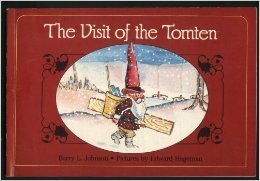 Apparently these tomten books are based on a poem called “The Tomte” by Viktor Rydberg. Curious how it goes? Stars send a sparkling light. And snow lies white on pine and fir. Snow glows on rooftop shake. A riddle that has no key. Even Old Palle dreams again. High above straw filled nests. To see how the housefolk fare. They feel for his faithful care. Silently peers at their tousled heads. These are his greatest treasure. From where, from where have they come? Near to the swallow’s nest. And come with her tiny mate. Then will she talke of the journey tell. That stirs in the tomte’s spirit. The tomte ponders and thinks. Late in this winter night. Well I’ll let you ponder that for the rest of the evening while you get your drink on. It’s an odd thing that most books about gnomes are geared towards children. 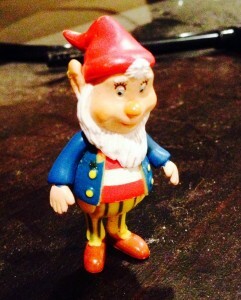 But as The Gnome Abode’s literary expert, I seem to be noticing this trend more and more frequently. Mad props to the authors who are grooming the next generation of gnome enthusiasts! 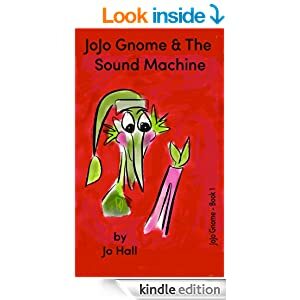 So I recently read a book called Jo Jo Gnome and the Sound Machine. And apparently, it’s aimed at 2-5 year olds. As you can expect, I had a few questions right off the bat. A sound machine like one of those weird Conair devices that simulates the sound of crashing ocean waves? 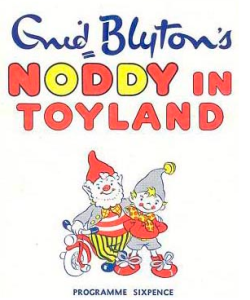 And what kind of gnome has such a long green nose and wears a droopy green hat? 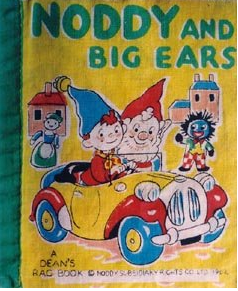 As I virtually flipped the pages on my Kindle, I never did figure out why these gnomes’ skin was green. Or why their hats drooped so much. Or why their ears were so pointy. At one point, Jo Jo’s grandpa was reading a book called “Gnome Stuff,” which I thought was most excellent. I never could grasp what Jo Jo’s sound recording invention really WAS. I was also a little unclear as to what was causing to cause the noises picked up by the sound machine. And that’s all I’m gonna say. 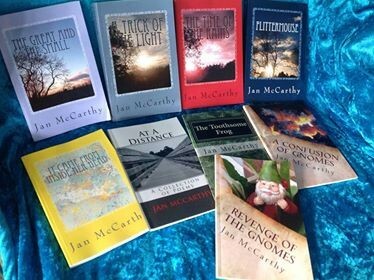 No plot spoiler alerts here! All in all, Jo Jo Gnome and the Sound Machine was a quick read (only a couple minutes if you’ve exceed the 2-5 year old range). Jo Jo and his gnomes certainly didn’t look like or behave like any gnomes we know, but that’s okay. We only pass judgement on humans…not other gnomes. And as a final word, I’ll say that if you enjoy “Curious George” books, you very well may find yourself smiling through Jo Jo’s gnomish misadventures too.